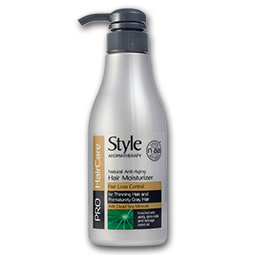 Hair Loss Control series formulation Unique, innovative professional line, which answers to Hair Loss and premature gray hair problems. 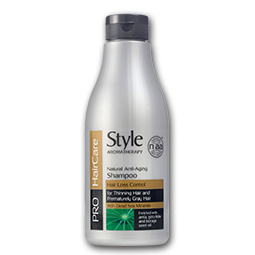 Based on a unique formulation featuring NAA (Natural Anti-Aging) technology and enriched with natural amla, gotu kola, Dead Sea minerals and borage seed oil. Gotu Kola (Centella Asiatica) is used as a medicinal herb in Ayurvedic medicine and traditional Chinese medicine. Gotu Kola contains a longevity factor called youth Vitamin X said to be “a tonic For the brain and endocrine glands”. It is believed that extracts at the plant help circulation and skin problems and protect from the harmful activity caused by DHT (natural metabolite of the human body that is the main reason for hair loss). Gotu kola extract also purifies the blood and improves the growth and the health of hair. Indian gooseberry – Amla is one of the most often used herbs in Indian ayurveda. lt has a reputation of a powerful rejuvenating herb. 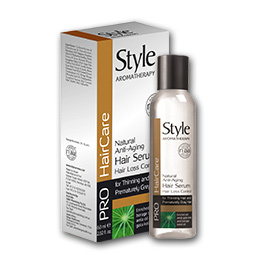 Amla local application on scalp helps to control hair loss. 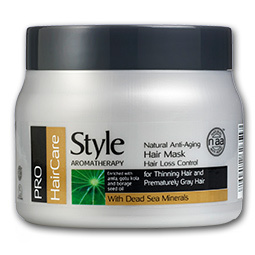 It stimulates hair follicles thus promoting hair growth and also improves texture of the hair. Amla is a powerful natural antioxidant that prevents greying and hair loss. It is the richest known source of vitamin C in natural form.